​One of my favourite things about Formula 1 travel is that there’s more to it than just the Grand Prix. Don’t get me wrong – there are few bigger fans of F1 in the world than me. But when I look at the F1 calendar, I can’t help being inspired by the incredible cities it visits, too. That means any F1 trip can be a city break as well as a sports event. And that’s fantastic if you’re bringing family and friends, who maybe aren’t as into F1 as you are. I wouldn’t like to have to pick a favourite Grand Prix city. The Spanish Grand Prix has just been and gone, and its host city Barcelona is certainly a tough one to beat. But if you dream of a Grand Prix trip to a city regularly voted Europe’s most beautiful – then it might just have to be Budapest. Lilting along the Danube past the iconic Hungarian Parliament building, standing among the Corinthian columns of Heroes Square… there’s just so much to see and do. ​It’s usually a fantastic race too. Who can forget the 2006 GP, where Jenson Button clinched his maiden Grand Prix victory at the Hungaroring? 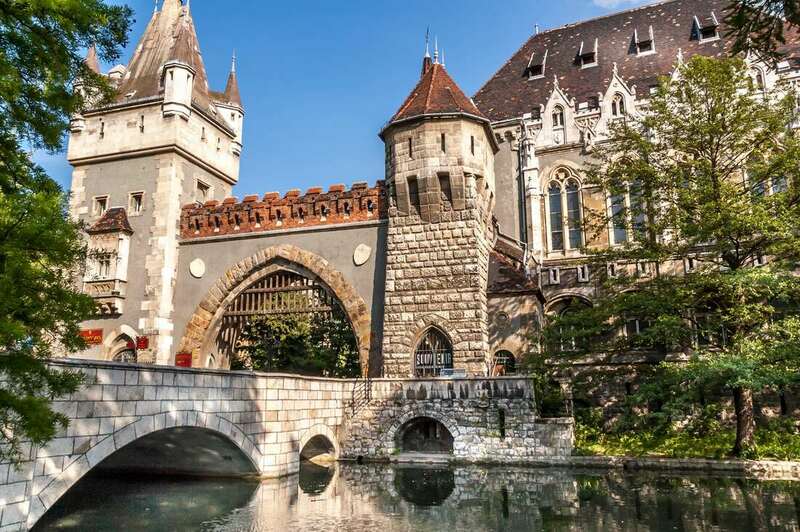 Here are three irrefutable reasons you should get your skates on and arrange your Hungarian Grand Prix trip now. The city of Budapest is full of incredible architecture. A big chunk of the city has been marked as a UNESCO World Heritage Site – in other words, they’re among the most impressive cultural spots on Earth. 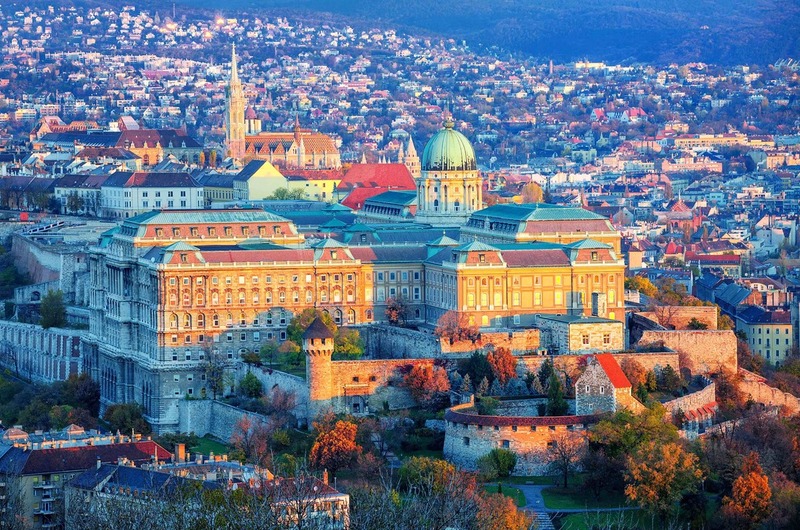 The Buda Castle dates all the way back to 1265 and still looks amazing today – especially when it’s lit up at night. Walking around the castle is like taking a trip back to medieval times. Andrassy Avenue is another World Heritage Site, but is also a great starting point if you want to enjoy Budapest’s great shopping, cafes and nightlife. If you’re a fan of classic European architecture, you’ll love it. 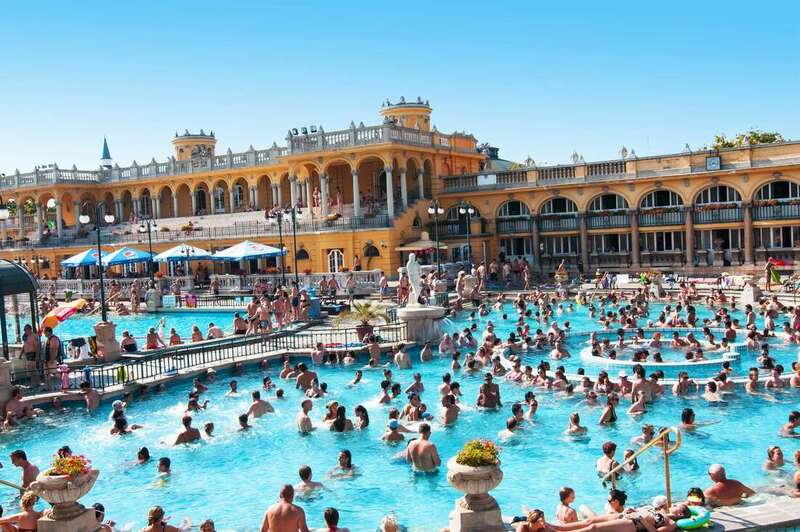 There are also more than 70 geothermal springs in Budapest, and relaxing in their warm and mineral-rich waters is definitely worth your time. As a world city that draws all kinds of travellers from all over the world, Budapest naturally has its share of great hotels. I recommend the Corinthia Hotel. Right in the heart of Budapest, and historically known as the Grand Hotel Royal, it recently underwent a respectful yet lavish restoration. With a gilded ballroom, a Royal Spa and a lobby that has to be seen to be believed, the Corinthia is a fantastic base for Grand Prix trips. The Hungaroring doesn’t have the walls of a street circuit, but it certainly has the bumpy surface and tight corners. That makes for some truly exciting race action, with close overtaking battles and an emphasis on clever strategy. Few F1 drivers call it an easy place to race. As the final race before the summer break, the Hungarian Grand Prix also arrives at a moment when the championship is really intensifying. Who will handle the twists of the Hungaroring best? The Hungarian Grand Prix is a genuine highlight of my F1 travel season.